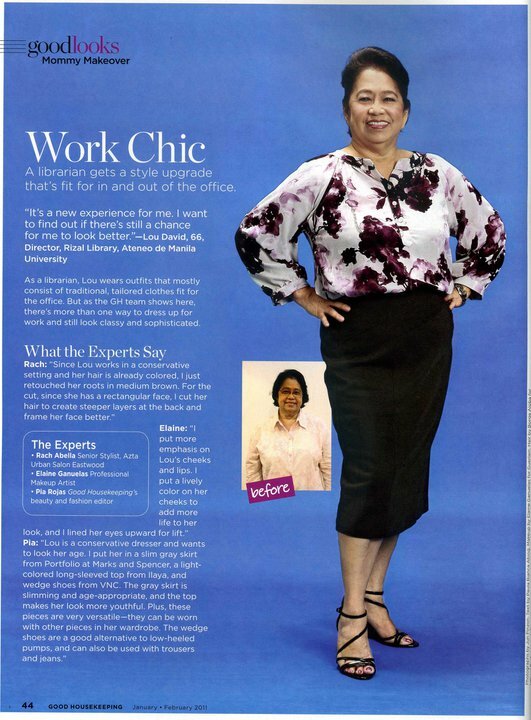 Filipino Librarian: Librarian Gets "Mommy Makeover"
The latest issue of Good Housekeeping (Jan-Feb 2011) shows Lourdes David, Outstanding Librarian 2008, before and after her makeover. Thank goodness the writeup was matter-of-fact, with no condescending remarks about librarian stereotypes. Photo from Jo-anne Domingo's Facebook album.